The Memorial Candle Program has been designed to help offset the costs associated with the hosting this Tribute Website in perpetuity. Through the lighting of a memorial candle, your thoughtful gesture will be recorded in the Book of Memories and the proceeds will go directly towards helping ensure that the family and friends of David Harrill can continue to memorialize, re-visit, interact with each other and enhance this tribute for future generations. David Wilbur Harrill age 89 of Rutherfordton NC passed away on April 4th 2019 at Hospice. David was the son of the late Henry Clay and Almira Gertrude Huntley Harrill. 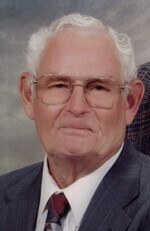 Left to cherish his memory are his wife Sara Jo Whitaker Harrill; son Brian Harrill; son Scott Harrill; daughter Cheryl Hamrick; Three grandchildren, Cliffton Hamrick, Brandon Harrill, and Raven Harrill; two great grandchildren Bailee Harrill, and Mason Harrill; In addition to his parents David was preceded in death by a daughter Davine Harrill; brothers Clyde, Herman, Ray Robert, and Ed; sisters Marjorie Morehead, Lillie Carpenter, Betty Yelton, and Evelyn Bruner. Services will be held at 3:00PM on Sunday April 7th 2019 at Crowe’s Funeral Chapel, with the Rev. John Perry, and Rev. Keith Stephenson officiating. The family will receive friends one hour prior to the service. In lieu of flowers donations may be made to Hospice of the Carolina Foothills PO Box 336 Forest City NC 28043. Online condolences may be made at www.crowemortuary.com.